Major George Campbell Wheeler won the Victoria Cross while crossing the River Tigris during the Second Battle of Kut on 23 February 1917. His act of gallantry helped the British to win an important victory over the Ottomans in Mesopotamia. 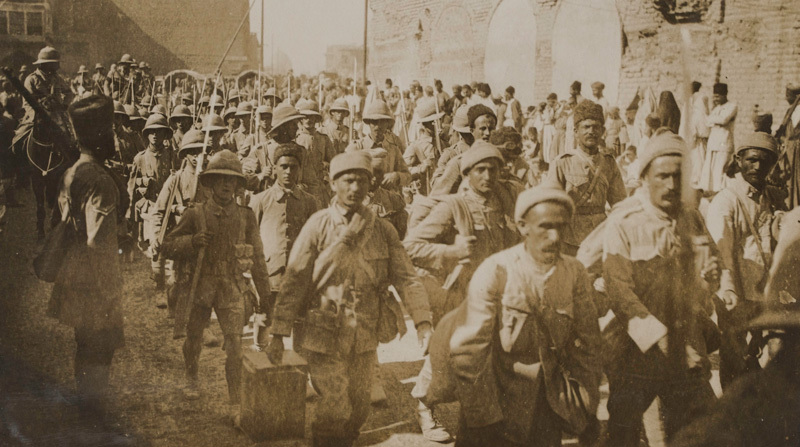 The British and Indian forces in Mesopotamia (now Iraq) had suffered a humiliating defeat with the surrender of Kut in April 1916. The British Government, which had taken over control of the campaign from the Indian General Staff, placed Lieutenant General Sir Frederick Maude in charge in July 1916. Maude was initially instructed only to ensure that the armies maintained their line of defence. But he began to reorganise, resupply and reinforce his troops at the same time. By October he had amassed a force of 150,000 men and sought permission from London to launch an advance on Baghdad. His attack began with an operation along both banks of the River Tigris on 13 December 1916. At first, Maude’s advance made slow progress. An attack on the Khadairi Bend, a fortified river loop, which started in early January 1917, was held up for most of the month. 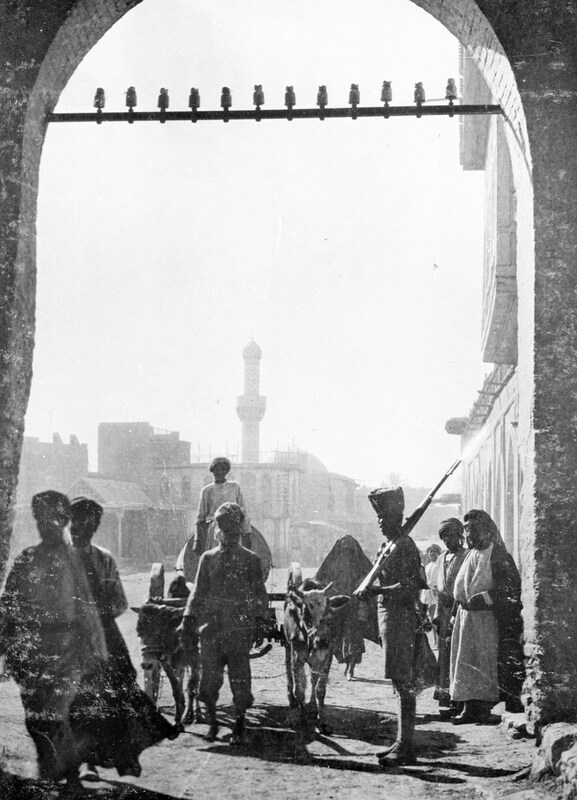 But by early February, British and Indian troops had begun to close in around Kut, and a new phase of the battle commenced. On 6 February the Ottomans retreated across the Tigris into Kut. The town sat in a river loop, and while British and Indian troops held the river bank to the south, they wanted to be able to surround the Turks by attacking Kut from the north. Unfortunately, the advance on the north bank of the Tigris was held up downriver at Sanniyat. So Maude began to consider other ways to encircle the Turks. He realised that if his armies could cross the river upstream of Kut they could directly attack the Ottomans, cut off their communications with Baghdad and besiege the town. In turn, this would force the enemy to abandon Sanniyat, and allow the British and Indians on the north bank to continue their advance. Maude decided that the best place to cross the Tigris was at the Shumran Bend, a large loop upstream of Kut. While Turkish forces occupied the bend, it was conveniently far enough from Kut so as not to be overlooked. The British could safely build a bridge across the water to move their men and supplies onto the opposite bank, and then launch a surprise attack on the town. Maude planned the offensive in secret. Over the course of February he continued the attack at Sanniyat to divert Turkish attention away from Kut. The attack on the Shumran Bend began on 23 February 1917. The 37th Indian Brigade, which included 2nd Battalion, 9th Gurkha Rifles, spearheaded the operation, crossing the River Tigris on ferries at 5.30am. George Wheeler led his Gurkha force from the front and was one of the first to land on the opposite bank. It was heavily fortified and the first line of enemy defences were close to the water’s edge. His men faced heavy fire from the enemy when they disembarked, but soon began to overcome the defences. At one stage, a Turkish soldier fired on George at close range. The man missed, but one of his comrades proved more accurate throwing his rifle. Despite a severe bayonet wound to the head, George continued the advance. The actions of George and his Gurkhas helped the British forces to carry out a successful amphibious assault against the Shumran Bend. By 8:30am they had pushed the enemy back far enough that construction could begin on a bridge to move men and supplies across the river. This was finished in the mid-afternoon after the 37th Brigade had repelled all of the enemy’s counter attacks. By nightfall two divisions marched across the river and on to Kut. 23 February became a significant day for the 2nd/9th Gurkhas. Their successors continue to celebrate ‘Shumran Day’ on this date. ‘This officer, together with one Gurkha officer and eight men crossed the river and rushed the enemy’s trench in the face of very heavy fire. Having obtained a footing on the far bank, he was almost immediately counter-attacked by the enemy with a party of bombers. Major Wheeler at once led a charge, receiving in the process a severe bayonet wound in the head. In spite of this, however, he managed to disperse the enemy and consolidate his position’. The successful crossing of the River Tigris at the Shumran Bend allowed the British and Indian armies to advance north of Kut. 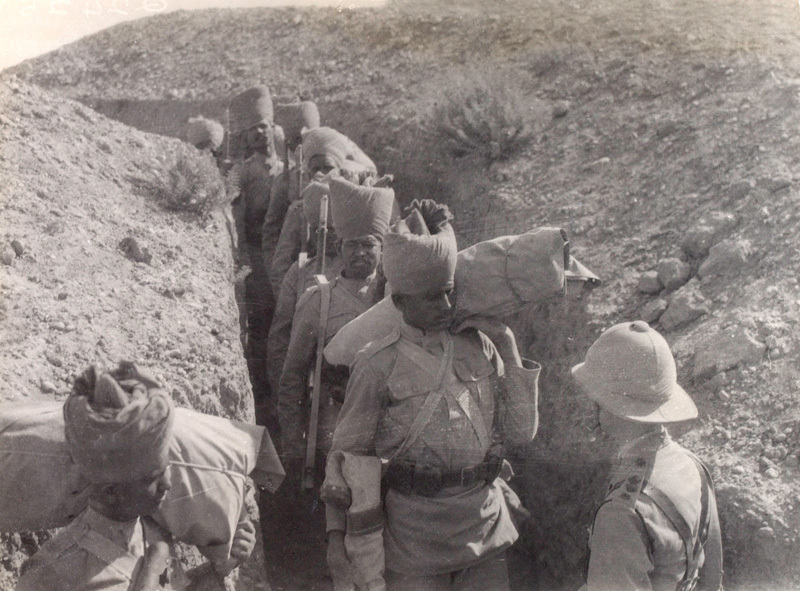 On the same day, a diversionary attack downstream at Sanniyat managed to break through four lines of Turkish trenches, increasing the pressure on the Ottoman defenders of Kut. The Turks did not want to become besieged in the town as the British had the year before, and abandoned their positions the next day. They began retreating towards Baghdad on 24 February and were pursued for 100km (about 60 miles) to Aziziyah by Royal Navy gun boats. The chase petered out three days later. After re-taking Kut, Maude immediately pushed his British and Indian troops on to Bagdhad. They captured the city barely two weeks later, on 11 March 1917. Major George Campbell Wheeler (1880-1938) was born in Yokohama, Japan on 7 April 1880. He had two elder siblings, Sidney and May. His parents Mary Moore and Dr Edwin Wheeler had moved to Japan in 1870 so that Edwin, formerly a medical officer in the Royal Navy, could work as a physician for the British Legation in Tokyo. George was sent to school in England, entering Bedford School in 1893. He played for both the rugby and cricket teams and won the annual cross country run in 1896. He was also a keen linguist, fluent in French, German, Japanese and Hindustani. George completed his education at Bedford School in 1897 and decided to embark on a career in the Army, studying first at the Woolwich Military Academy, and later at Sandhurst. In January 1900 George was commissioned and joined the East Yorkshire Regiment, which was serving in India, as an unattached second lieutenant in April 1901. Like most of the East Yorkshires, George was of Irish descent. He was apparently a good singer and often entertained his men with operatic performances. George transferred to 2nd Battalion, 9th Gurkha Rifles, in early 1902, and was quickly promoted lieutenant. He had been made a captain by 1909. While serving with the Gurkhas in India he met Beatrice Ethel Kynoett. They married in Bengal in November 1912 and had three children. By the outbreak of the First World War, George had been made a major of the 2/9 Gurkhas. As part of the 37th Indian Infantry Brigade they arrived in Basra in January 1916. In the spring they assisted with attempts to relieve the besieged British force at Kut. Then in May they were absorbed into 14th (Indian) Division, with whom they served for the remainder of the campaign in Mesopotamia. From December 1916, George took part in the British operations along the River Tigris. At the Second Battle of Kut on 23-24 February 1917 he performed the feat that won him the Victoria Cross. The 2/9 Gurkhas then took part in the capture of Baghdad in March. For the remainder of 1917 they assisted in minor operations. The 14th Division was disbanded following the Armistice of Murdos on 31 October 1918, which brought the war with the Ottomans to an end. After the war, George returned to Japan. His family celebrated his decoration with a large party in April 1919. He then travelled back to England to receive his Victoria Cross from King George V himself at Buckingham Palace on 26 July 1919. In 1921 George was appointed the acting colonel of 1st Battalion, 9th Gurkha Rifles. He served with them during the Malabar Uprising before retiring in 1922. Bedford School unveiled an illuminated memorial plaque inscribed with George’s VC citation in 1923. In the same year, at the nearby Bedford Modern School, a memorial was erected for another George Wheeler. Major George Massey Wheeler also served with the Indian Army, took part in the campaign in Mesopotamia and in 1915 won the VC (although in his case it was awarded posthumously). After leaving the army, George moved to Barton-on-Sea in Hampshire. He took part in several local activities and put his operatic skills to good use as a member of the nearby amateur dramatics society, the New Forest Players. George died from pneumonia at Grove Nursing Home, Hampshire, on 26 August 1938. His funeral took place on 31 August at St Mary Magdalene Church in New Milton, where he was also buried. In 1999 his headstone was badly damaged. It was replaced thanks to a funding campaign managed by the Bedford School and the Gurkha Association. His plaque still hangs on the wall of the Bedford School in their memorial hall.